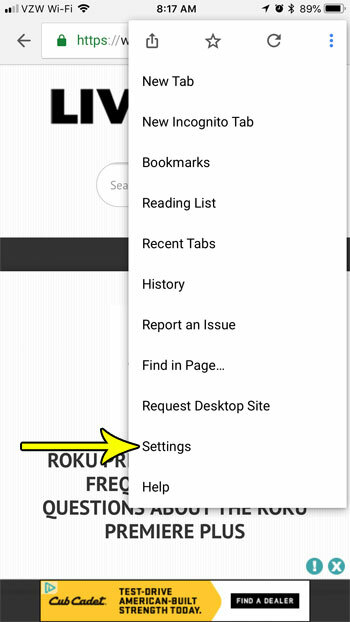 You can search for something on the Internet in the Chrome browser on your iPhone by navigating directly to a search engine page, such as www.google.com, or by typing a search term into the address bar at the top of the screen. 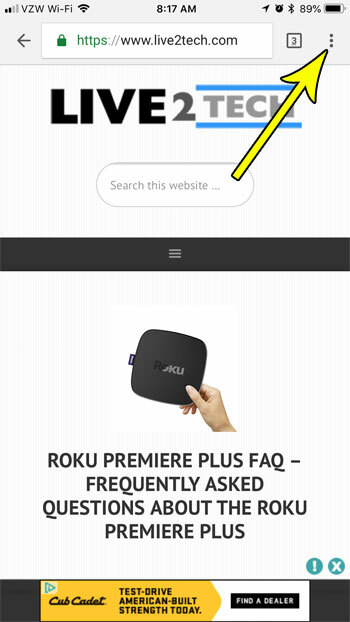 When you navigate directly to a search engine page and type a search term into the field at the center of the screen, that search is performed on that specific search engine. But if you type a search term into the address bar, the search is performed in your default browser. If you’ve never changed this setting before, then that means Chrome will perform address bar search on Google’s search engine. But you can change this setting, and use a different search engine if you prefer. Our tutorial below will show you where to change this setting. The steps in this article were performed on an iPhone 7 Plus in iOS 11.3. The version of the Google Chrome app being used is the most current version available when this article was written. 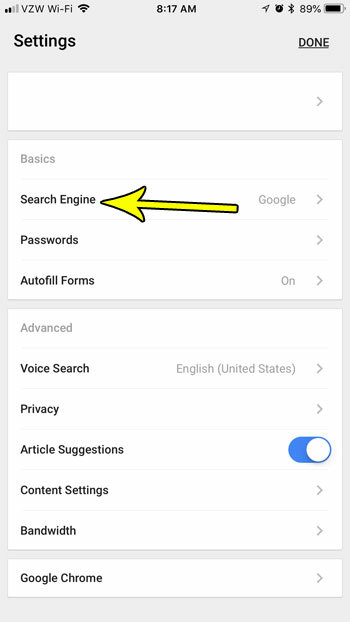 Once you complete the steps in this guide you will have changed the default search engine that is used when you type a search term into the address bar at the top of the page. You can still use any search engine that you want by navigating directly to that search engine’s Web page. This will not change any search engine settings for other browsers on your iPhone, such as Safari or Firefox. Step 2: Tap the icon with three dots at the top-right corner of the screen. Step 4: Touch the Search Engine option. 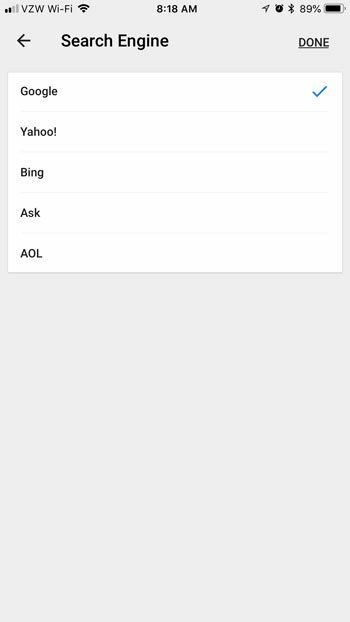 Step 5: Choose the default search engine that you wish to use, then tap the Done button at the top-right of the screen. Would you like to delete your Chrome browsing history, either for troubleshooting or privacy issues? 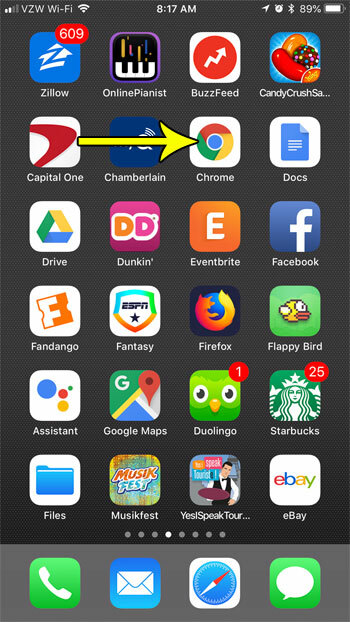 Find out how to delete history in the iPhone Chrome app and delete any browsing history or cache that you wish.